Founded in Wichita in 1951, Martin Pringle has grown to be one of the largest and most respected law firms in Wichita. As an industrial and aviation hub (dubbed the Air Capital of the World), and the largest city in Kansas, Wichita has provided a dynamic environment for Martin Pringle, allowing us to expand into a wide range of practice areas, and to gain national prominence in the aviation industry. 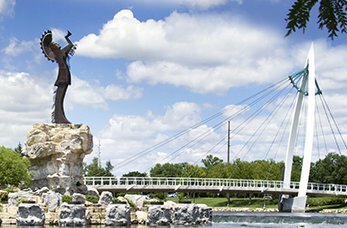 We are proud to call Wichita home.